In sport there is an increasing trend to have young people specialize early. On the surface it seems to make sense: totally immerse yourself in your sport, master the skills and get an advantage on those who don’t put in the same effort or time early on. But is that really how it all works? The research paints an interesting picture. 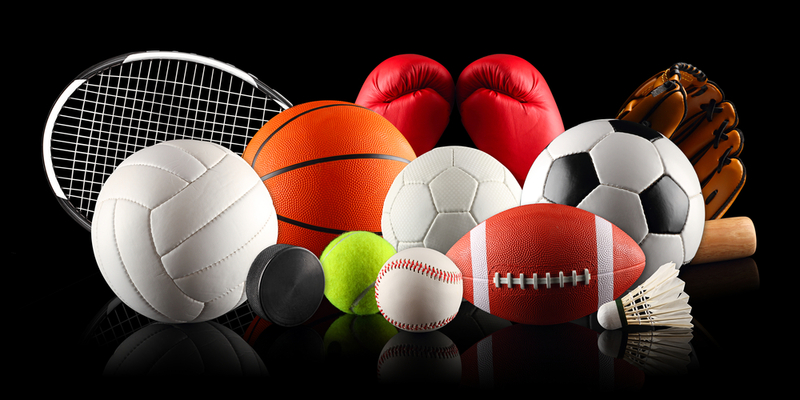 On one side you have Specialization, the idea of dedicating time and effort to one sport or activity and on the other side there is the concept of diversification – going through a sampling period of different sports and activities. Early Specialization has been linked to overuse injuries, burnout, increased dropout rates and in the end, lower ceilings of top end performance. One study looked at all the major sports to determine when early intensive training was appropriate and only one sport showed a link between early specialization and success at the elite level and that sport was Gymnastics. Gymnastics and maybe figure skating are the only two real legitimate early entry sports, for all the rest…well… specializing before the age of ten appears to be risky business. 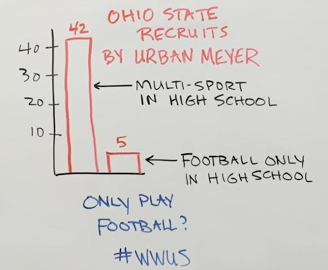 What we’d like to see is a multi-sport approach and a lot more time spent just playing sport without coaches, referees or parents watching. Let the kids mess up, make mistakes, show off, hot dog, self teach and learn on their own. It’s a powerful thing and we need more of it. And let them play multiple sports. Specializing early now has stronger links to lower top end performance than elite performance where it turns out the mulit-sport athletes dominate! In a Danish study of 148 elite (World Class) athletes and 95 near elite (Top college level, National Team) athletes showed some interesting results. They found that the ‘Elite’ world class athletes trained less during the developmental years than the Near Elite level athletes. The elite world class athletes however, were shown to intensify their training later in adolescence carrying them through to their elite world class levels of performance. So it can be confusing. You hear about the 10,000 hours of deliberate practice that is needed to become a top performer and at the same time you hear early specialization and focus on one sport can be detrimental to performance. My advice is, react to your athlete. If your athlete just loves his or her sport and that is all they want to do, fine, just make sure the training away from the sport is smart and diverse enough to compensate for the lack of participation in other sports. There is a strong talent transfer across sports both physically and mentally and if your athlete is specialized early you have to make that up in the training program. And, if your athlete seems to lack conviction or dedication to one sport and flows from sport to sport with the seasons, that’s fine as well. Keep it fun, provide encouraging support and when they are ready to focus on one sport go for it. Remember, data has shown that late bloomers make up the majority of the top end performers. We’ll be looking at Nutrition and Talent Identification in the upcoming weeks so stay tuned.